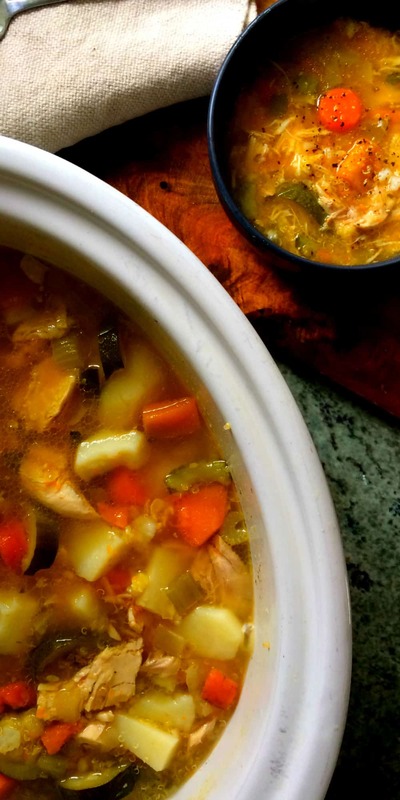 This recipe uses one whole chicken and will change the way you make chicken soup from now on. I know it can be tempting to buy ready prepared deboned chicken thighs for a quick chicken soup. But I hope that this recipe changes that forever. 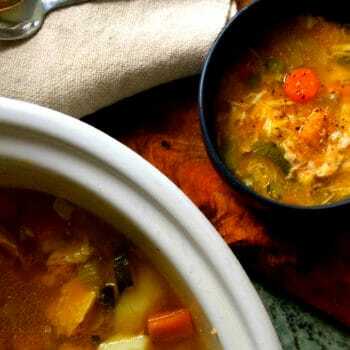 Using a whole chicken adds flavor and richness to your soup without needing to add extra chicken stock or processed flavors. Which is perfect, because hey, we are all ’bout Real food here. Plus, it saves money, only one chicken is used (because last time I counted each chicken only has two thighs. I would need at least six thighs (aka 3 Chooks) to make this meal) and … let’s not forget … it results in an unforgettably delicious meal. Any other Veggies you would like to add. 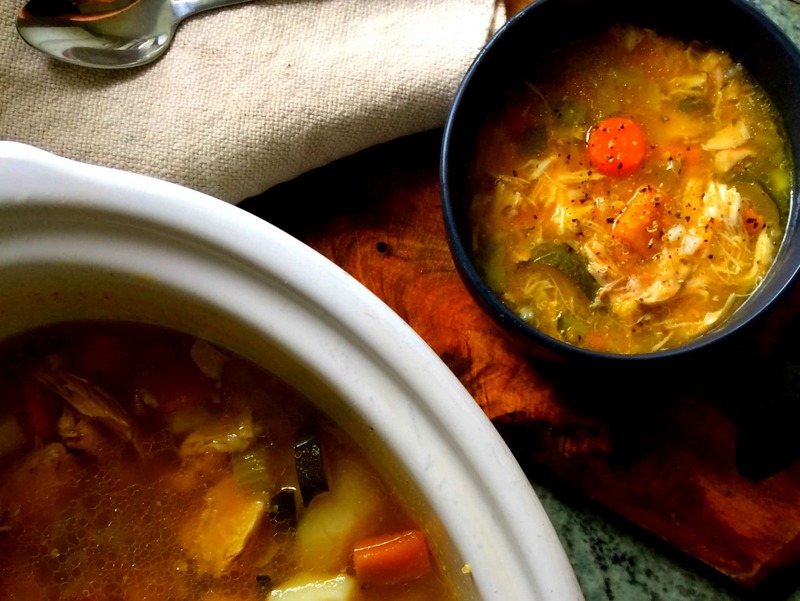 Most other soup recipes call for extra chicken or vegetable stock, but we can ignore this because we making our own stock as we cook our soup. How smart is that? You will notice that your soup will have a slight bit of oil floating on top. This means you have made it perfectly! The oil from the chicken skin and (don’t get grossed out here) the gelatin from the carcass is really, really good for us. Gelatin helps prevent arthritis, cellulite, stretch marks, wrinkles, brittle bones and, well, let’s just say it is underappreciated. Also, our body needs oil to absorb a range of vitamins and minerals. 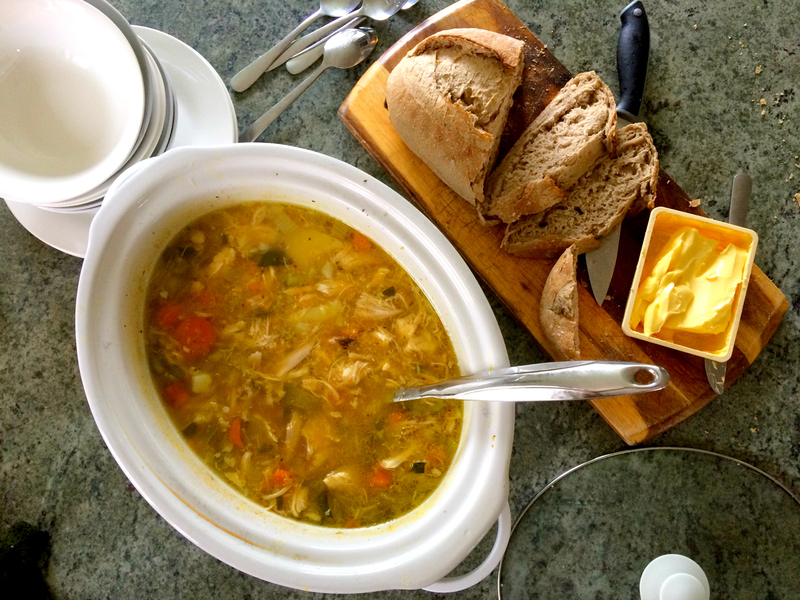 This is why Grandma would make chicken soup when you were feeling a little sick. Bet she always made it using a whole chicken too. No deboned chicken thighs for Grandma. It’s a Super Meal. Super? Soup. Did you see what I did there? My kids would be cringing now. Plug in your Slow Cooker and turn to high. Add Whole chicken and two cups of water, rosemary, onion, salt and pepper. Cook on high for 2 hours. Add quinoa and all vegetables except zucchinis. Pour in boiling water until Crock pot is 3/4 full and all vegetables are covered. 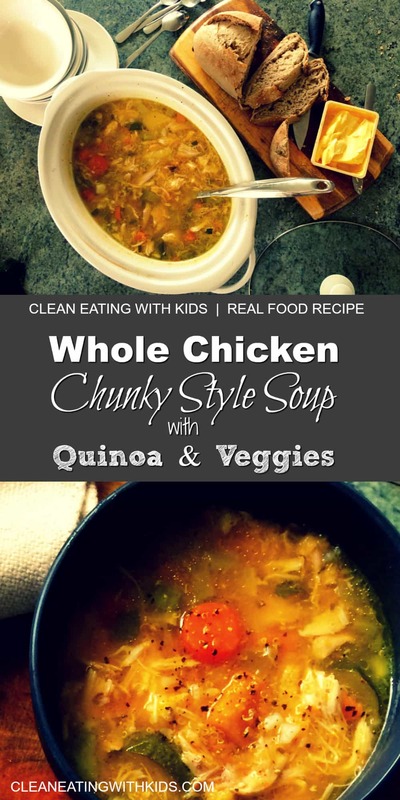 Cook for 1 – 1.5hrs until chicken breaks away from the bone and vegetables are tender. 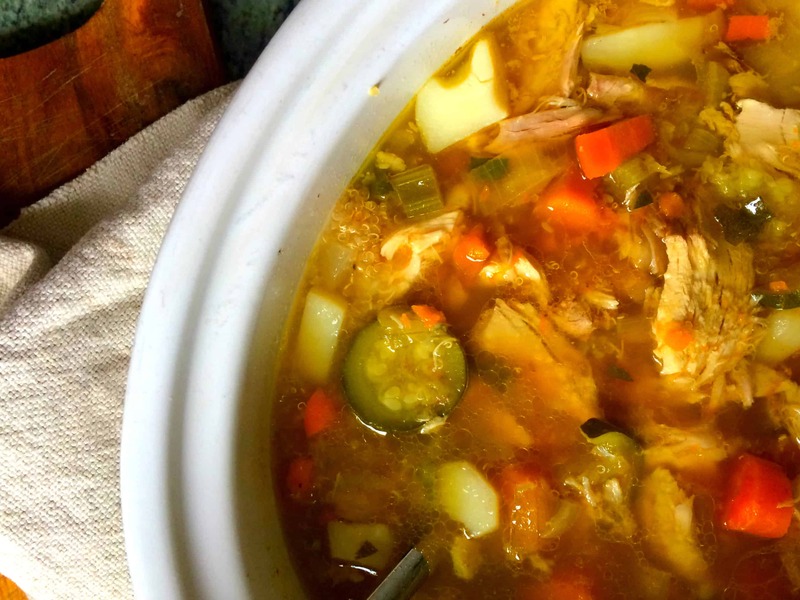 Remove the chicken from the crockpot and take the chicken off the bone. Put the unboned chicken pieces back into the pot and dispose of the bones. Add zucchinis and cook for 30 minutes.